All this week my wife has been giving you some insight as to how we homeschool and keep our marriage strong. On Monday she wrote a great post about being on the same page. Train Wreck Tuesday was an insightful post as to how avoid disasters. Wednesday she for some reason sang my praises in a post about me being her secret power. 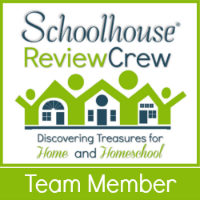 Yesterday was a great post on some of the challenges we face together as a homeschooling family. After all this I knew I needed to insert my 2 cents about a Healthy Homeschool Marriage. While I can help out here and there with homeschool, my wife really does run it. We trust you – You are educating our children. We trust your judgement when it comes to curriculum. As moms, you are generally way more in tune with what each child needs. This is a blessing to us men. Sometimes we can have an approach of “Me manly man and fix problems (grunt)”. Husbands, this is not an excuse to not pay attention to what is going on, but rather when your wife asks your opinion about a curriculum or something related, find out what its all about and have a real opinion! We trust you so much we place our most valued assets their future in your care daily, without reservation. We value you – You’re not “just a stay at home mom”. I often fail my wife in this. Most days mean you’re a mom, teacher, taxi driver, chef, maid, dog-walker, fight mediator, and hundreds of other roles. You being at home is a value to us husbands. While we go off to work each day we don’t worry about our children. Not in the sense that we don’t care, but they’re with you. For me, knowing my wife is pouring out her love on my children brings me a huge peace and allows me to focus on my job. This is such a blessing and we love you and value for the countless hours you put into homeschooling even when we’re thick headed and don’t show it. We want to be active – This is hard!!! Many husbands who are working all day have no idea how to plug themselves into what their wives are doing with their children. Trying to find out what’s going on with school after mom is fried from a long day and dad had a horrible meeting with clients and was stuck in traffic for an hour can be a disaster. Set time aside BEFORE the week starts to figure out the family schedule for the week. From there pick an activity (or several) that dad can do with the kids. Husbands this gives you a chance to follow what your wife works on as well as some great time with your kids. One great idea can be Bible reading. Another could be building a Lego project around a recent unit study your wife has been working on. We care about our children’s future – Wives, you are in the trenches day in and day out and the primary decision maker around their education, but we do care! I know my wife stresses almost daily on whether or not she does enough for the kids, teaches enough has the right approach to their education, are the kids in the right activities and a million other things. Us Dad’s care about that too! Sometimes we can seem apathetic on this but I think that goes back to more on the fact that we trust you! Homeschooling has been such a blessing to everyone in our family. In so many ways its been a blessing to our marriage. It forces us to communicate and evaluate our priorities. Husbands and wives we’d love to hear your feedback on what works for you! We hope you’ve enjoyed this series!! To read the other posts in this series click here. Before you go… did you enter the Kindle Fire giveaway? More info here. 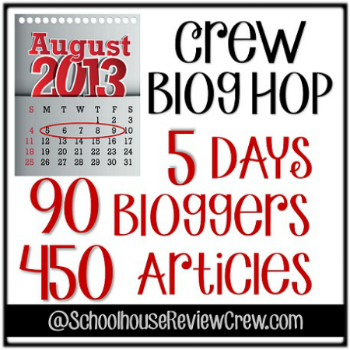 Check out other great posts in the blog hop! So nice to read a man’s perspective! Thanks for sharing.